The Campaign for the Protection of Rural England (CPRE) say the star-studded skies above Kielder Water & Forest Park are the darkest in England. They are so truly dark, that together with Northumberland National Park and Kielder Observatory Astronomical Society, we were awarded Gold Tier Dark Sky Park status by the International Dark Skies Association (IDA) in December 2013 – the highest accolade the IDA can give. At nearly 580sq miles, our dark sky zone, known as Northumberland International Dark Sky Park, is the largest Dark Sky Park area of protected night sky in Europe. The first of its kind in England and the fourth largest in the world, Kielder joins the likes of Death Valley and Big Bend Dark Sky Parks in the USA. Becoming a Dark Sky Park means that our night skies will be kept free from light pollution and we can create more opportunities for people to be inspired by the stars. It is estimated that 85% of the UK population has never seen a truly dark sky or experienced the sense of wonder that a clear night filled with billions of stars can give! At Kielder, you can experience this wonder! Kielder Water & Forest Park is home to Kielder Observatory, with its exciting programme of astronomical events throughout the year. See our events page or see the Kielder Observatory website for more information. Kielder campsite is also filled twice a year by the Kielder Forest Star Camp and there are also other venues hosting star gazing events throughout Kielder Water and Forest Park. Search in the events section for more details. The best time for stargazing is during the autumn and winter months, when the nights draw in. Pack up your binoculars, a deckchair and a hot drink and sit back and enjoy a star-studded show. 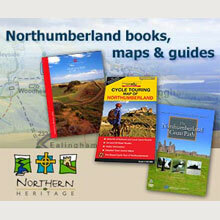 For more hints and tips on stargazing see our Northumberland Dark Sky Park leaflet. It’s not just stargazers who benefit from the reduced light pollution, Kielder Water & Forest Park is abundant with a variety of wildlife. The dark skies can enhance the habitat for many of our woodland species such as birds, bats, moths and insects. See our wildlife pages for more information about our Super Six. For more information on Northumberland Dark Sky Park, go to www.visitnorthumberland.com, www.northumberlandnationalpark.org.uk and www.kielderobservatory.org.